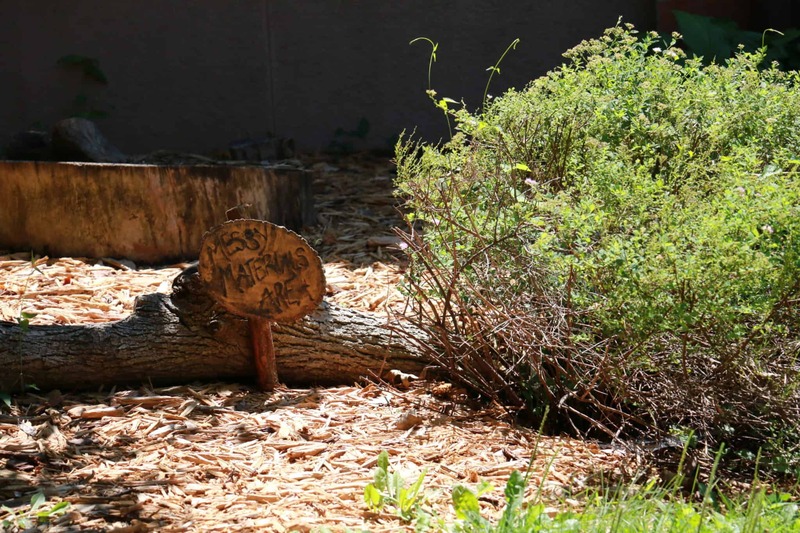 Tucked away within the Regina Education Center lies a garden blooming with opportunity for the exploration and discovery of nature. 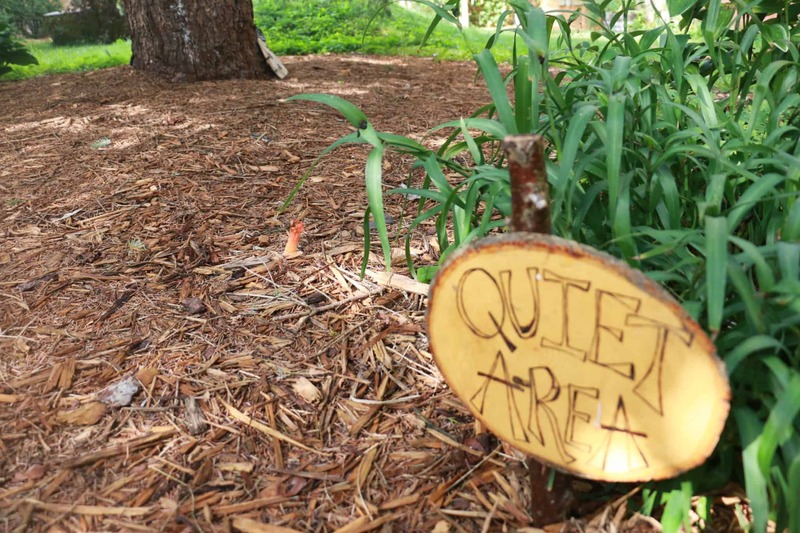 Eight different centers and areas give children the space and resources to learn and explore in a safe, natural environment. 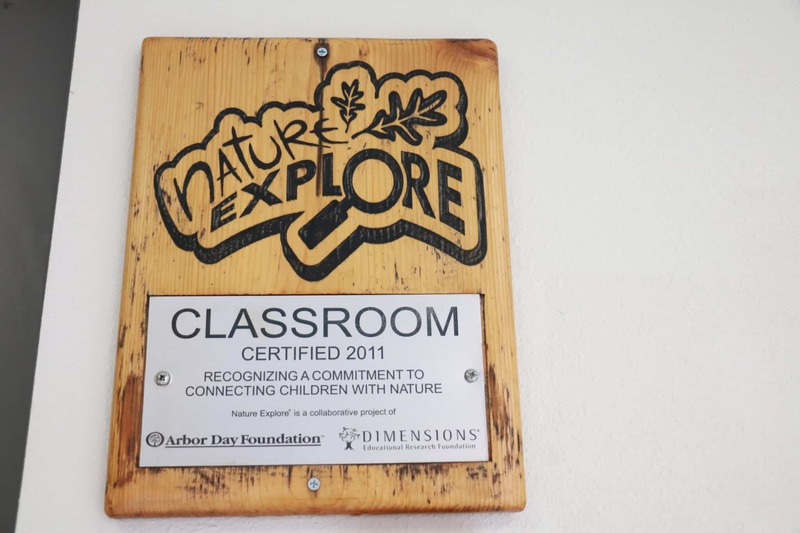 After several years of development, we are proud to be certified as an Arbor Day Farm’s Nature Explore Classroom. 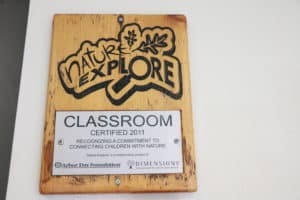 Find us on their website to learn more about Nature Explore. 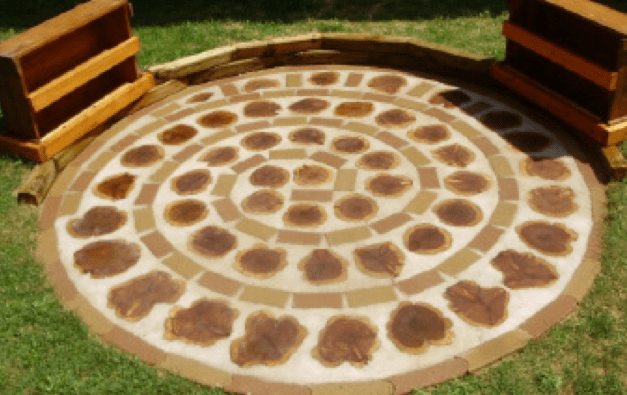 Our Building Area is a circular patio made with cedar tree cookies and stone pavers laid in a spiral. Our Music and Movement Area has a bell wall complete with 10 bells and a few pot lids for banging around. 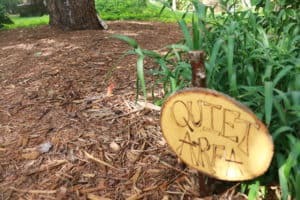 Our Quiet Area appropriates an existing large pine tree as a semi-hidden area with a ground of mulch and soft pine needles. 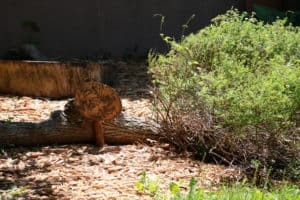 Our Messy Materials Area, healthily littered with bark, pods, and seeds of all kinds, makes its center at a hollowed out stump large enough to be filled with sand. 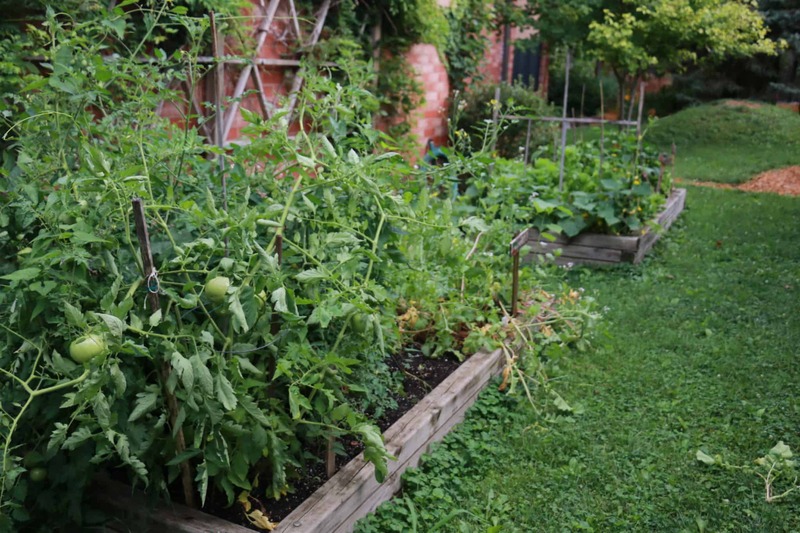 Our Garden is made up of two 4’ by 8’ raised beds dedicated to seasonal vegetable planting. 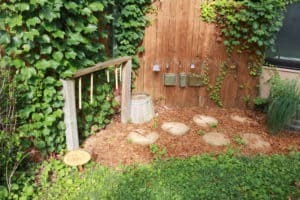 The beds are at a perfect height for small folks to weed, plant, and water.